Let’s go behind the scenes for a minute. 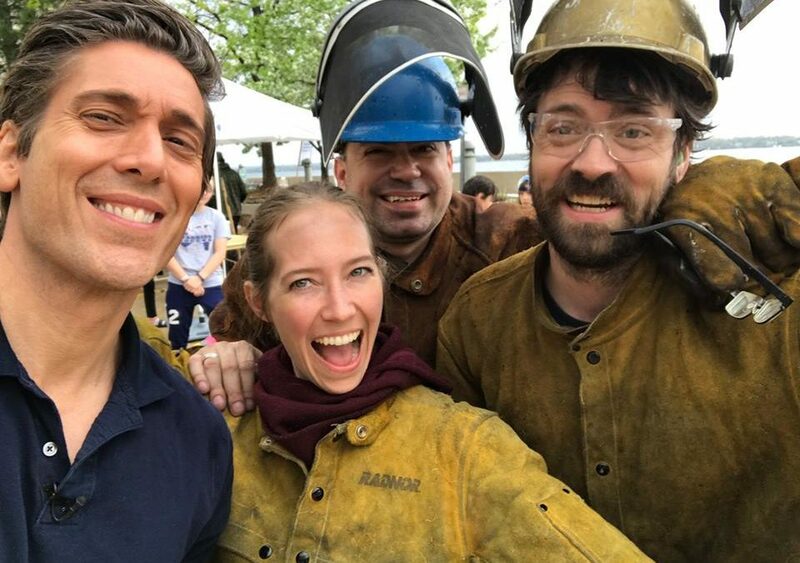 We had the unique opportunity to meet David Muir while he visited Madison, Wisconsin to give a commencement speech at the UW-Madison graduation ceremony for the class of 2018. 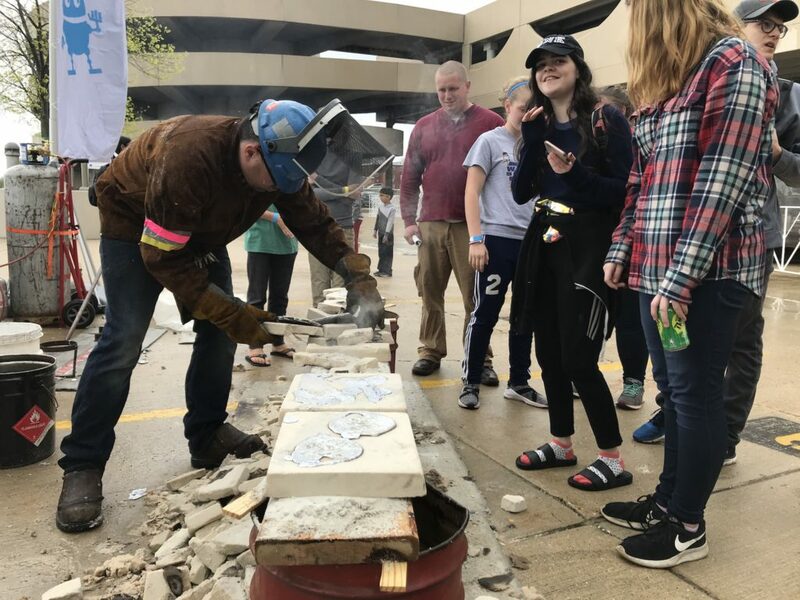 While people were gathered to celebrate their accomplishments, we happened to be setup downtown along Lake Monona melting aluminum all day during the Madison Maker Fair. It might be a little known fact that the American Skillet Company was actually founded by metal casting artists who still make custom cast metal sculptures under the studio brand name called FeLion Studios LLC. 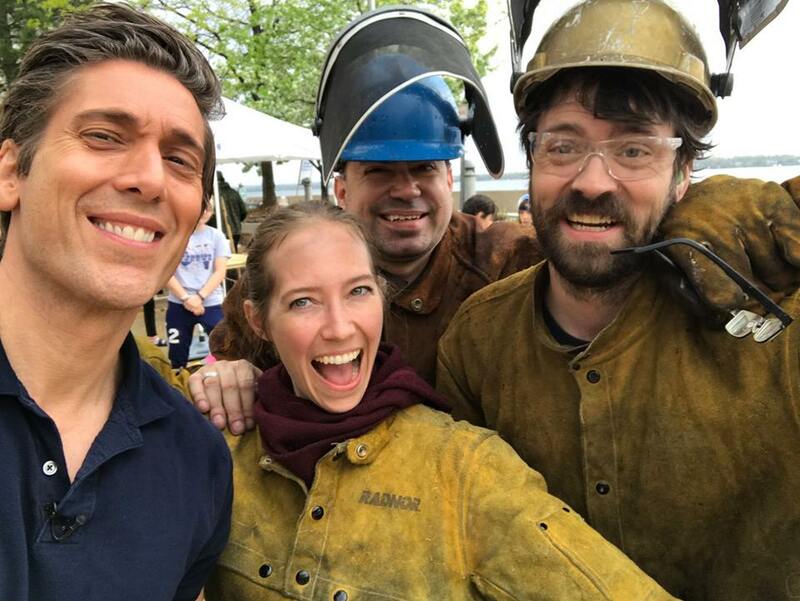 Casting metal in parking lots with hand made tools and made-from-scratch sand moulds is how the state shaped cast iron map idea was originally created. Today our process has proudly moved only a bigger operation at a commercial foundry here in Wisconsin, but our roots are still deeply set inside the artisan process with a passion to educate. 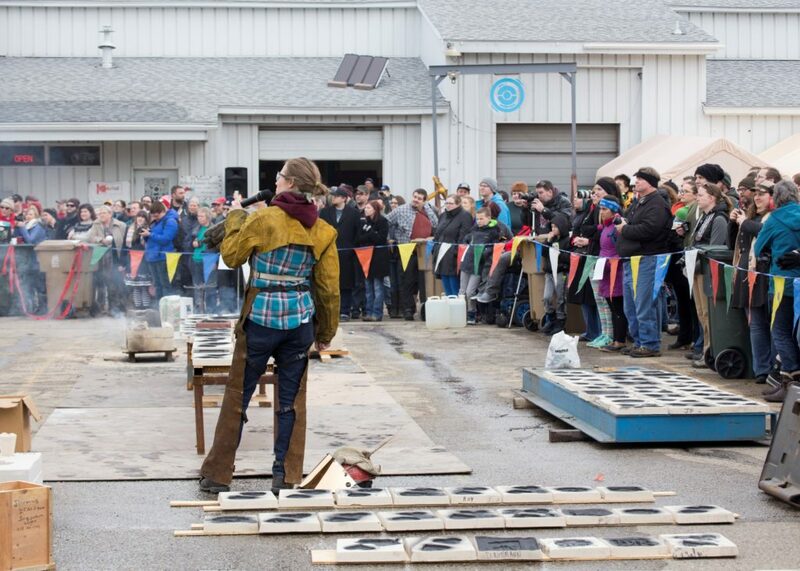 The Madison Maker Fair is just one of several public exhibitions that FeLion Studios does each year to invite the public into the metal casting process, teaching the process of design and mould making while providing the opportunity to create something unique to take home that day. To our delight, one of the visitors was David and his crew! We had the pleasure of taking him through our mini-melting operation outside and got to talk to him a little about the cast iron production that we normally do when we make the state shaped skillets. In case you missed it, here’s a clip of our feature on ABC World News Hour Tonight with David Muir. We are thrilled to have had the fortunate opportunity to share our story with a National audience and show a little more about what we do, and who we are as a company. The Made in America series that David is working on is such an important story to tell! Without manufacturing roots in America, we are left vulnerable a nation that would be dependent on everyone else to do the work we need done! Thank you David, and everyone who watched, for the support and inspiration to keep doing what we do right here in America.